When we hear the words “street food” the image that prints in our mind is something deep-fried, spiced and definitely mouth-watering! At Mayfair Lemon Grass Chef Sachin has added more volume to this image. 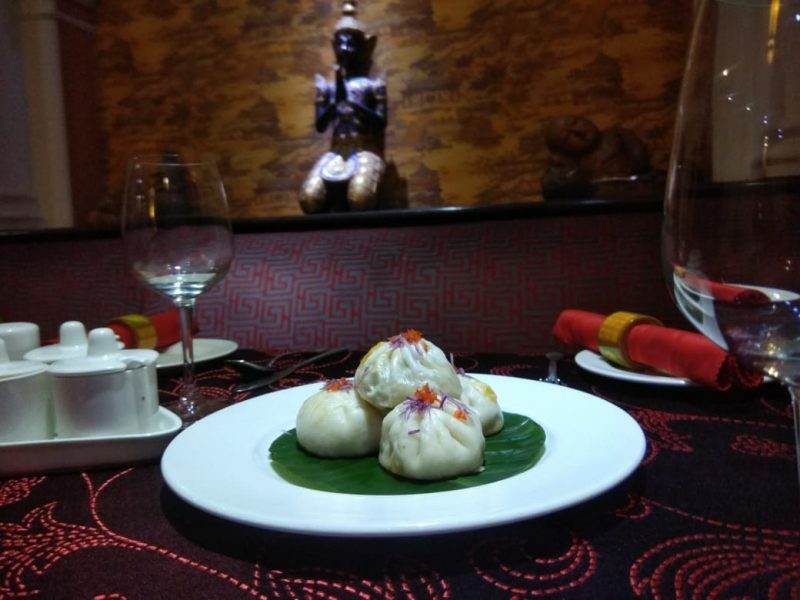 Oriental street food, as the name suggests has spices and flavours of Asian street food. 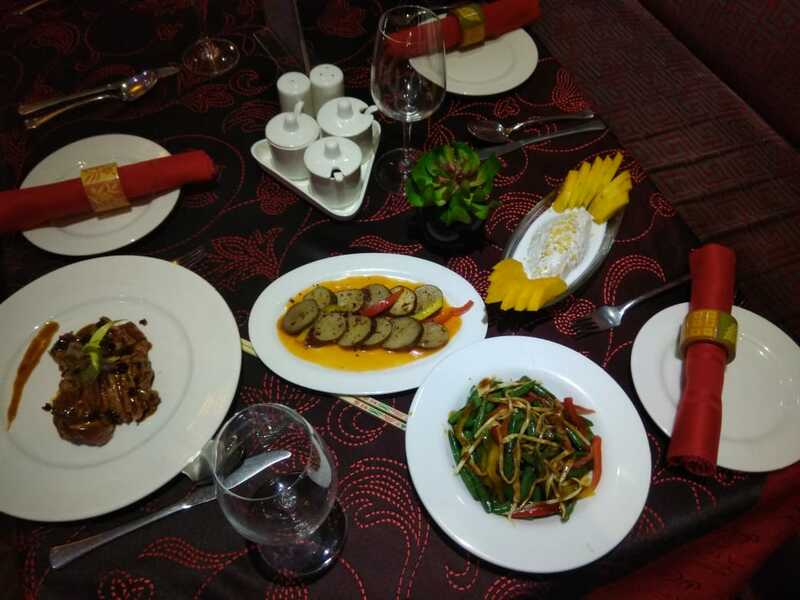 The aromatic stir fried veggies, grilled meat and of course, some dessert as well! Asian street food is known to provide quick snacks for people who are always in rush. Asian street food screams the culture of the home from where the dish originated. Lemon Grass’s Oriental Street food festival gave us the taste of exotic, culture and flavour rich street food from all over Asia. One tried the ‘Stir-fried haricot beans & bamboo shoots’, Yakitori Chicken sausage with white snow peas, Southwest style baked sweet potato & corn wok fry, Malaysian grilled lamb chop, Chicken & Bok Choy Bao, Mango sticky Rice and the famous oriental dessert i.e. Rainbow butter cake. Haricot beans are an essential part of Chinese street food culture. These beans have a creamy-white colour with a buttery soft texture while bamboo shoot is a staple in Chinese cooking. If you are aware, then in western Odisha, bamboo shoots are a summer treat with ‘Pakhala bhata’! This stir-fried goodness had a quite soft texture due to the bean and the crunchiness came from the bamboo shoots and the umami punch was from the soy sauce. Its aroma was definitely hypnotizing! This simple and quick street food was the healthiest starter. Yakitori Yakitori is a Japanese type of skewered chicken. Its preparation involves skewering the meat with kushi, a type of skewer typically made of steel, bamboo, or similar materials. Afterwards, they are grilled over a charcoal fire. During or after cooking, the meat is typically seasoned with special Japanese barbeque sauce and salt. The taste leaves you mesmerized. This dish was a spicy, had a delicious charred flavour of the coal. The sautéed white snow peas acted as crunchy element and palate cleanser but where tender at the same time. With the spiced Yakitori chicken sausage and the crunchy white snow peas, this dish was an example of chef’s perfection in terms of balancing of flavours. When one tries the Malaysian food, we have the taste of spices, lime, lemongrass and garlic predominantly. These magic ingredients added the signature Malay taste to the their street food. Malaysians typically execute satay style of cooking wherein the meat is allowed to marinate overnight to inculcate the robust flavours of the marinade before grilling it. This lamb chop at Lemon Grass was no different. Every bite of the lamb chop had the flavour of Malaysia in it. Bao or steamed bao are a signature dish in China. It’s definitely a meal in itself. The Bok Choy is a (Chinese cabbage) pairs perfectly well with garlic. The Bao we had at Lemon Grass had a stuffing of chicken and bok choy. The flavours compliment each other and elevated the taste of Bao. This much hyped dish was only an oversized momo. Thai street foods are always sweet and definitely different than other street foods. This is because of the coconut milk, which is a common ingredient of the Thai dish. It had a refreshing taste and the punch of coconut did not go unnoticed. Topped with sliced mangoes, it was overall a delicate dessert meal. The showstopper, without a doubt, was the Rainbow Butter Cake. I wouldn’t stop wondering how can a cake can be so buttery and rich yet be so light and airy? All the topping with buttery characteristic, this Indonesian street food was definitely the highlight of my day!